Utah – It starts with quality sourcing at Sugar House Distillery; from the locally-grown corn to the hand-selected yeast and even using the purest mountain water. 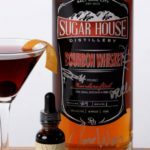 Located in Salt Lake City, Sugar House makes both malt whiskey and bourbon whiskey, with its bourbon taking the lead as 2016’s Best of Craft Spirits Category. Sugar House prides itself in its skill to distill! To read the article from Wayfair.com Click here.